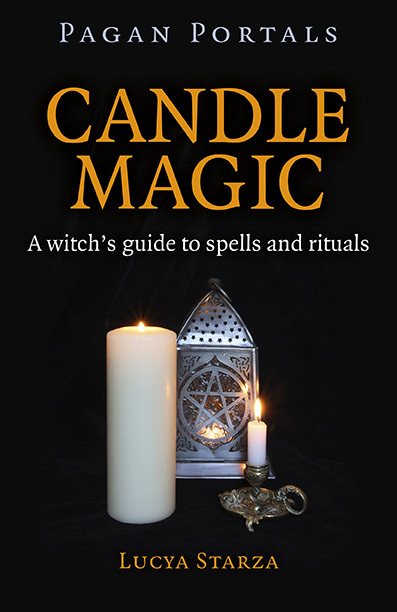 I'm going to be running an evening workshop on candle magic at Treadwell's Bookshop in London on Tuesday, February 2. The class runs from 7.30pm to 9.15pm, all materials are supplied and it is only £20 per person. If you always wanted to know how to cast a spell, or if you are keen to be able to work simple magic in accordance with old traditions, tonight is for you. Candle magic is a basic and central skill in the repertoire of pagans, and Lucya Starza tonight leads you in a hands-on evening. 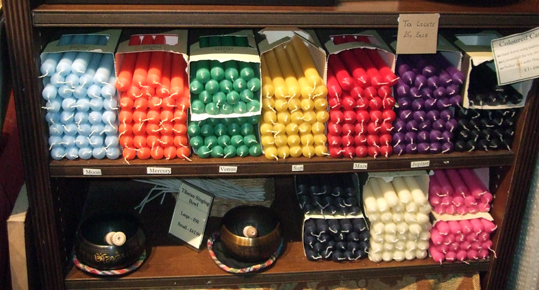 We provide all the supplies, and at the end of the evening you will know how to do it on your own in future – and you will take home a prepared candle in addition to your newly-gained expertise. Lucya is a practising Wiccan, owner of Bad Witch’s Blog (famed for its events list) and the author of Pagan Portals - Candle Magic (Moon Books). February 2 is also Candlemas, a traditional day for the blessing of candles, so is a perfect time to learn the skills of practical candle magic. To book a place on the workshop call 020 7419 8507, email info@treadwells-london.com or visit treadwells-london.com. To find out more about the book or the workshop email me at badwitch1234@gmail.com. Treadwell's is at 33 Store Street, Bloomsbury London, WC1E 7BS.